Victory Belt Publishing, 9781936608362, 368pp. 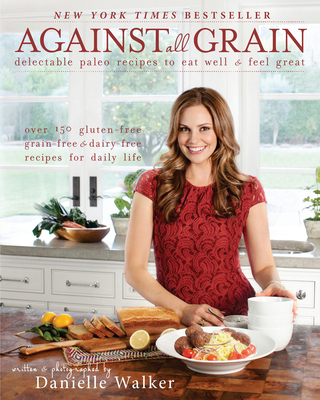 Danielle Walker is the author and creator of the popular Paleo-food blog Against All Grain (www.againstallgrain.com). Having to deal with a diagnosis of an autoimmune disease at only twenty-two years old, and unable to alleviate her symptoms with conventional medicine, she eventually came to the conclusion that she had to remove grains, lactose, legumes, and refined sugars from her diet. When she realized that there were many others out there struggling with the same issues, she combined her culinary skills and love for food with an equal love for journalism in a campaign to end her own agony and become a source of hope for others suffering from all types of diseases and allergies. Danielle's goal has always been to never feel deprived, but rather to feel joy and satisfaction with each bite of food she eats. She and her husband, Ryan, live in the San Francisco Bay Area with their energetic toddler, Asher, and spunky dog, Ahavah.